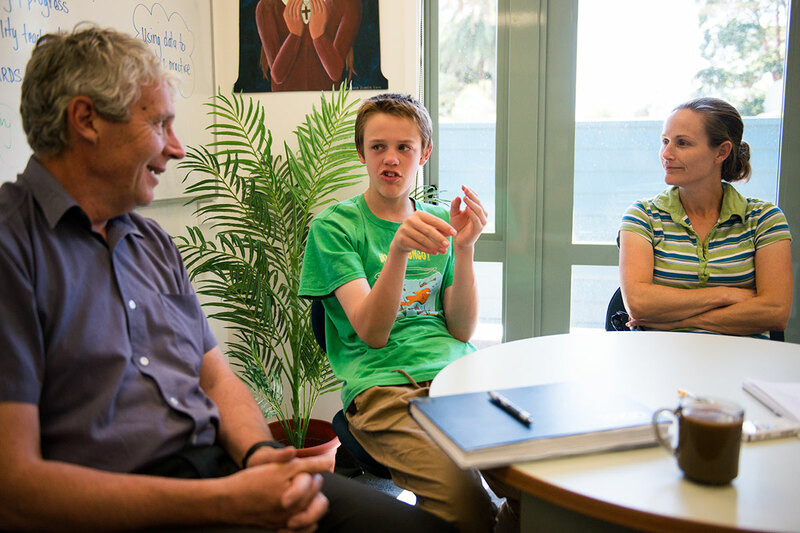 Thirteen-year-old Jack Hudner sits calmly at the crowded round table in his principal’s office at Gisborne Intermediate. He thoughtfully answers questions about how today’s class trip to the Eastwood Hill Arboretum went. The wildlife – especially the peacocks – were impressive. Three weeks earlier, Jack enjoyed an Action Week in the Waikato where he played paintball, and went to the adrenaline forest and Hobbiton. End-of-year school trips are a highlight of the school calendar for most children but for Jack and others like him, they can be an ordeal. And the mega challenge for any autistic kid is transition, the dreaded moment when they have to leave one school to go to another. For Jack, changing schools, and even classrooms, can be akin to what many of us would feel standing on the glass deck at the Skytower: frozen with fear. “Jack’s an exceptionally intelligent and talented student. At a young age he could read and understand ideas way beyond his age,” says Gisborne’s Awapuni School principal David Langford, who during the six years Jack spent at Awapuni School, often shared his office with him. “Jack was never shy about telling me what a useless principal I was,” he says with a grin. Langford recalls when he would look out his office window to see Jack hightailing out of his classroom across to the staff area – a place he knew he could seek calmness when the stresses of the class became too much. “I’d always thank Jack for doing the right thing – for coming here when his anxieties built to a stage where he couldn’t stay in the class,” says Lesley Allen, Awapuni School’s full-time Specialist Teacher of Special Needs. Awapuni is a magnet school for kids with special needs. Almost 50 percent of students are on the special needs register, but Langford doesn’t think that’s so atypical – especially in Gisborne – a town that far exceeds the national average in every grim poverty-related statistic – from family violence to crime to teenage pregnancies and truancy. “We’re a very inclusive school for children with special needs. We have a fantastic teaching staff – every single teacher firmly embraces the values of inclusive education. There is no place in our school for teachers who do not embrace those values, and in my view no place for them anywhere in a modern education system”, he says. Employing a highly qualified, full-time special education teacher working outside of the classroom is a major investment, but provides a vital education lifeline for kids. “Every school should have a Lesley,” he says. Jack is a student with luck on his side. As a high school maths teacher, his mother Grace Davidson is well equipped to ensure he gets the support he needs at home and school. But even for a parent like Davidson, dealing with the stresses associated with Jack’s autism has been difficult. “He could have been kicked out of school on many occasions because of his behaviour,” she says. Davidson helped set up a parent-based autism support group in the region and relied strongly on school support. For kids on the autism spectrum, social relationships and learning how to make friends can be puzzling and often unfathomable. Along with that, anxiety around change or too much stimulation in the classroom or playground can lead to blow ups. In the classroom at Awapuni school, when Jack found it too stressful he could retreat to a quiet secure area at the back of the class where he could listen but didn’t have to see or be seen. “But we knew he was listening because when he didn’t agree with what was happening in the classroom he could be heard calling out ‘that’s not right, we’ve got a dumb teacher’,” says Langford. Over the years, the cases of Jack having to retreat to his shelter or Langford’s office became less frequent and he was making big strides towards his understanding and insight into his situation and what to do about it. But two and a half years ago, he faced one of his biggest challenges – the move to Gisborne Intermediate. As the time for leaving got closer, Jack became more anxious. So it was vital that the two schools, along with Jack and his family worked closely together to make sure he could feel secure and that he had an “anxiety plan” in place. This began a series of meetings between his mother, Allen and Gisborne Intermediate’s SENCO (Special Education Needs Coordinator) Conrad Smith, Chris Vincent (RTLB) and special needs teacher Tracey Wilson. “We visited intermediate on a number of occasions so Jack knew where everything was. We plotted and drew maps of how he could get to a ‘calming area’ such as a quiet space in the admin blocks when he needed to,” says Allen. Gisborne Intermediate also ensured he was paired with a teacher that shared Jack’s strong interest in computers and ICT. All that came down to a great relationship between the intermediate and primary school and a sharing of values and understanding of the importance of successful transitions, particularly for kids such as Jack. Critically important was that Gisborne Intermediate’s principal Glen Udall found extra resources to release teachers to come and spend time in the primary school classroom to meet and observe Jack and how his teachers worked with him. “That was great, because they did get to see Jack have an anxiety attack that day and saw how it was managed,” said Davidson. “What we didn’t want to happen was that Jack would turn up on his first day at school, feel stressed and inevitably have a meltdown.” That could easily have triggered a scenario of ongoing misunderstanding and mismanagement which would have been disastrous for Jack’s schooling. Critically important was that Gisborne Intermediate’s principal Glen Udall found extra resources to release teachers to come and spend time in the primary school classroom to meet and observe Jack and how his teachers worked with him. “Jack’s future’s going to be bright. He’s creative, inventive and has the focus to do something really special.” – Deputy principal and SENCO Conrad Smith (left) with Jack and his parent Grace Davidson. From Allen’s perspective, she’s very clear that collaboration between schools is key to underpinning successful transitions for kids with diverse learning needs. And for her it goes further, to three very clear elements – indepth knowledge of each child and their particular needs, and a strong relationship with their family, backed up by the resources and planning to make a difference. Top class teachers with inclusive mindsets are fundamental, she says. These elements came together for Jack. The result has been a happy and successful two years. Those advocates sitting with him in Glen Udall’s office are optimistic that he has the confidence to tackle his next big challenge – transition to high school. But in the meantime, Jack’s focussed on a summer holiday of relaxing, eating junk food and going to friends’ houses. And when he leaves school, he’d like to become a video game designer, or maybe an artist, or soldier or cop.